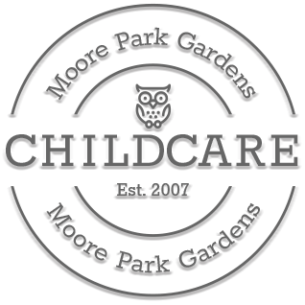 As the Educational Leader at Moore Park Gardens, my role is to give guidance and inspiration to our passionate educators on how to develop interest-based programs that engage our children actively in learning from baby to school-age. We work in close partnership with families and we use the Early Years Learning Framework to identify each child’s strengths and interests, plan intentional teaching as well as designing the environment for quality play. The foundations for each child’s education begin at birth; with secure relationships that are crucial for young children to experience learning. We believe strongly that our nurturing interactions and environment support our youngest children to explore and develop. Our educators use each daily routine as a learning opportunity and encourage the children to be confident and independent individuals. We use ‘Munch and Move’ and relaxation activities to teach children the importance of healthy living and mindfulness. We are very passionate about the impact of play on children’s learning and development. We run a transition to school program for children 4-5 years, with a focus on developing the children’s social and emotional skills and confidence to learn. This is at the core of a successful transition to school, and education throughout life. Throughout the year, we implement a program that engages the children with interest-based projects that encourage skills and attributes needed for starting school. Foundations in Literacy, communication and language are built in early childhood and we recognise how it is essential for children’s successful learning. Our young children represent future generations and we feel that it’s important to help them realise how they can care for and protect their environment. We have recycling bins, compost and a worm farm and the children are taught how to use them independently. Learning happens outside and inside every day at Moore Park Gardens. We make use of our playgrounds and outdoor classroom, as well as planning regular excursions to the local park and community. The children plant and care for seeds all year round and they love to taste their own produce in cooking experiences. We embrace the culture and languages of our families and respecting diversity is an ongoing theme throughout all of our programs. We provide opportunities for the children to learn about similarities and differences between people and to interact with others in empathetic and respectful ways. We promote greater understanding of Aboriginal and Torres Strait Islander history and culture throughout our learning programs and the play environment. In preschool, our older children (4-5yrs) experience learning new languages through the fun, digital and play based ELLA program. They are currently learning Spanish.